Kristina Train released her second album Dark Black on download last month and on CD this month. Her single Dream of Me was one of the best of the summer of this year. There are a couple of music artists who I think it is only a matter of time before they are very well known and she is one of them. There is a great interview and feature with her in the Independent newspaper here where she talks about her first album and personal losses in her life and how a call from Herbie Hancock lead to her guesting on his tour and how the new album came into being after that. 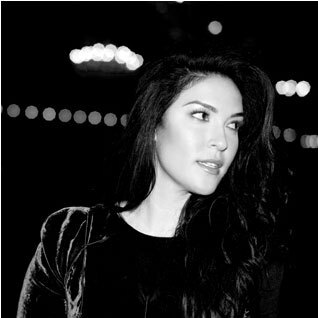 Kristina was born in New York City and grew up in Savannah in the Deep South of America before moving to London, England and as the feature notes all those influences can be heard in her voice and music. Kristina plays the Bush Hall, London on Monday 12th November. Tickets can be purchased here through Ticketmaster UK. The title track of her album is my Song of the Day.